Hannah has been a World Class squad member since 2011, she’s been on several Nations Cup teams and was also part of the Ambition Programme at London 2012. Hannah’s highlights including competing at Aachen and Olympia, she’s enjoyed top placing including a win in the Grand Prix Kur in Saumur. She’s been shortlisted for the teams for the London 2012 Olympics, the European Championships in 2013 and 2015. This year Hannah was the only Brit to qualify for the Kur in Hargen and finished 12th in very tough competition. Super excited to have you on this podcast today Hannah, how are you? Hi, I’m very well thank you. So, to kick this show off, we like to do something a little bit outside the box, so we’d like to know an interesting fact about yourself. Something that most people or most of your fans wouldn’t know about you. Now, it doesn’t have to be horsey related, just something that you think most people wouldn’t know. Well, I guess I would have to say that as well as being a horse rider, I’m also an advanced Scuba Diver. I love that. That is fantastic. 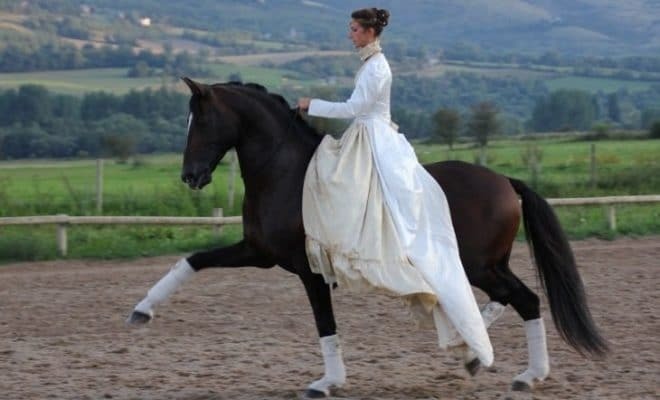 Something that you would never actually put together with horse riding. Well, I grew up in Hong Kong and my parents were very keen divers as well. They were very sporty and so we use to do family holidays together around Asia, and I’ve always been a bit of a water baby and just loved it, and for me, it’s just exploring a whole other world under the sea. It’s also very motivational for me. When I go on holiday, I don’t just like sitting around, I’m very goal orientated, so it’s another achievement in my life that I can work towards. Myself and my husband are hopefully going to become Master Scuba Divers sometime soon. What type of creatures have you swum with? Obviously, I know fish, but is there anything interesting that has been there when you’ve been diving? I went on an amazing dive earlier this year, in Borneo and I just felt like I was in Finding Nemo the entire time. There were sharks and a little turtle came and swam next to me for a little bit and I was very blessed to see a tornado of Barracuda and swim in the middle of that and all sorts from little Clownfish, to huge Whale Sharks and everything in between and it’s just fantastic and I love it. That sounds amazing, that’s something that I have to put on my bucket list to try and do. Okay, so let’s get into the nitty-gritty of this interview. Let’s have a little bit of an insight into your personal life. What does your typical day look like at the moment? How many horses have you got? What’s your family life like? Do you have any other pets other than horses? Just give us a little bit of an insight; what’s your day to day routine? Okay, well I live in a converted cow barn with my husband Tim and our 18-year-old cat, Toby. We live next to the stables, which is great, my commute to work is two steps out the front door. But we also live onsite to the farm next to my parents, because my mum is disabled, so we still live nearby to help look after her. My younger brother is essentially her career, but it’s very good to have extra family around her and I like being in a family unit and feeling that support and love around me every day, so it works quite well. They’ve got a couple of dogs as well, in their house, so we do have a dog house and a cat house. Do they get on, the dog house and the cat house? Yes, not too bad. Although the Jack Russell knows that he’s not allowed in this house or else he gets beaten up by the cat. Oh, I would have thought it would be the other way around, but okay, at least the cat’s holding his ground, isn’t he? How many horses have you got at home at the moment? We’ve got eight at home, eight ridden horse, a broodmare and a 3-year-old who has just been backed and is on her way back to me today actually. I also ride 2 horses over at Half Moon Stud. My typical day will be riding the horses in the morning, generally teaching in the afternoon and then I do have a fair amount of admin work to do with the running of the yard and all the other stuff that goes in, and also got to try and keep myself fit. The horses are athletes, so I’ve got to be an athlete myself, and tonight I’m off to spin class. I try and do a little something every day, just to keep my fitness levels up. Yes, I think that’s so important and I think that’s so good for you as well. Not only do you think of your fitness, as well training the horses, but also to get you away from the horses for a little bit, for that time in the day, because otherwise, I think you’d feel like you just never leave the yard. Yes, it’s a little stress reliever as well, and I do have to look after my back and my body as well as my mental side of it. And it’s good to make sure that I’m working all the right muscles and supporting my back, and that I feel fit enough to ride. The top professional these days are all-round athletes, you do just have to have that little extra edge to get those gold medals. Yes, it is something that I think most riders tend to forget about; they concentrate so much on the horse, they forget about themselves. You are only half of the partnership; do you know what I mean? You have the horse and you have yourself and you have to treat both of them as the athletes that you are. Yes, definitely and I can’t expect the horse underneath me to be fit enough and strong enough and supple enough to get through a Grand Prix test if I can’t do the same. Let’s have a little bit of a brief summary of your dressage career. How did you get into horses in the first place? How old were you when you started riding? 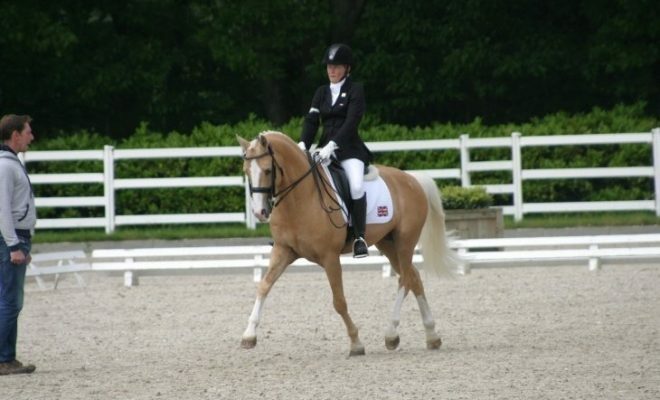 Was it dressage that you wanted to go into from a young age or did you start off in another discipline? Just give us a little bit of a summary of how it all happened up to today really. Okay. Well, I grew up in Hong Kong and there’s not much access to horses out there, they’re all ex-racehorses or imported ponies, but I actually sat on my first pony when I was in Devon. We used to come over for summer holidays and stay with my gran. And my parents were, as I say, quite sporty and they used to go riding for fun – galloping across Dartmoor – and so I used to join in with them doing that and having fun in the Pony Club down in Devon. Then back in Hong Kong we found a local riding school that did lessons and so I started riding there and progressed on to the ex-racehorses and I did all disciplines in Hong Kong – Pony Club in Hong Kong, show jumping, eventing and a little bit of dressage when I was growing up. For me, it was just very much about having fun and being social. It was very much a social thing there with the Jockey Club and my dad rode a bit. 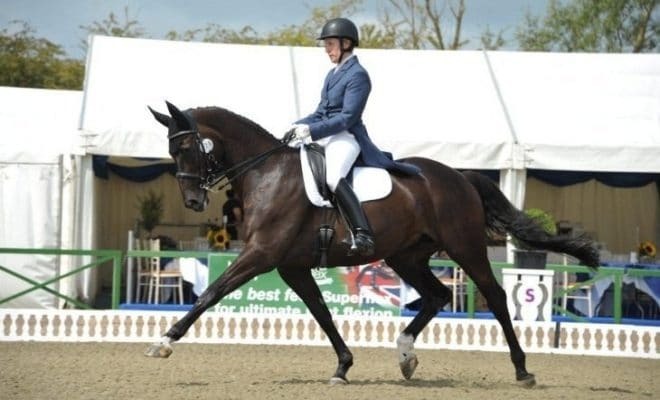 By this point, Mum had been diagnosed with her disability so she didn’t ride as much, but Dad and I used to go riding together and I just fell in love with the power, the elegance, the grace of dressage. Everyone used to say my show jumping rounds were very beautiful to watch, even if I didn’t keep all the poles up. The horses were very well balanced and did nice flying changes in between. I did a little bit of Pony Club in England, on friend’s borrowed ponies and I would generally always win the dressage and then either go okay cross country or there’d be some bogey fence that I would fall off in front of. I thought I’m pretty good at the dressage bits, so I’ll stick to that. When you came over to England, when did you actually say to yourself “I want to be a dressage rider”? Do you remember having that conversation with yourself at all or did it just sort of happen throughout time? I did progress quite naturally while I was still in Hong Kong. I guess I was about 14, 15, I think, and I asked the instructor if I could teach this ex-racehorse how to do flying changes as I wanted to do the best dressage tests. We had an International. as such, competition in Hong Kong, where the judges would go around different countries and judge us, and I won that. I won the Asian leg of that, aged 14 on my little ex-racehorse, and I think that gave me the bug. We moved back to England in ’97 and found a horse that I could be on the junior team with. And because I’d sort of done quite well in Hong Kong, I had this confidence that I could go on and crack the UK dressage scene. We were very lucky that we found a gorgeous horse that I was on the junior team with for 2 years when I came back to England. I was very lucky with that. Do you remember how old were you when you rode your first Grand Prix? When I rode my first Grand Prix? Oh God. Well, there was probably a bit of a gap in between this confident young teenager coming over to England on the junior team, and then there was a bit of a down period in my career where we’d lost the junior horse and I had to build my way back up. We had no real network or support or anything in the UK because we didn’t really know anyone. I went to Germany and trained out there and worked out there for a bit, and I probably rode the Grand Prix movements out there, but I didn’t ride my actual Grand Prix test probably until about 10 years later I think. Do you remember how it went? Do you remember that feeling when you first went down the centre line, or when you finished the test and you did your final salute? Do you remember how it felt to actually think that you had just rode a Grand Prix test in a competition setting? Yes, I remember it like it was yesterday. It felt like I had been hit sideways by a bus! Oh, okay, nice feeling then. Nowadays I’ve got time in the corners and everything is a little bit slower, but definitely, the first time I went through the Grand Prix, just everything hits you so fast. That’s why we have to be so fit and on the ball to be able to produce the goods in a Grand Prix test. What’s the biggest mistake or the worst thing that’s ever happened to you in a test at any level? I guess that would be at the National Championships on Weltzin. We were doing the Inter I Kur, the Inter I Freestyle, and I put my hand up for the music to start, and the music started, but it wasn’t the right CD. It was my CD, I’d given it to them, but it wasn’t the right one and it was my spare one and I didn’t even know what was on the disk. I didn’t know what music was coming up next, I didn’t know if it even went all the way through and I had no choice but to go and wing it. I went down the centre line and halted and the music stopped and I thought, “Okay, well what’s coming up next?” and it was walk music, so off we went in walk. I managed to keep pretty much to my floor plan with just a little bit of inventiveness here and there. But the music finished at least before I ended up on top of the judges and actually we did really well! Because I was so busy thinking about what’s coming up next and where I’m going to go, I was not worrying about the horse or any other negative thoughts, and actually, we did really well. That’s a great story! I don’t know how you must have felt. Your stomach must have been in your mouth at the time as you went round. I’ve always been quite good at being quite relaxed and can just get on with it, and I had no choice really. Yes, as I say I’m quite lucky that I’ve got enough mental maturity, strength really, to just be able to not panic in that situation and just get on with it. What’s been your biggest temporary setback that you have had to face getting to Grand Prix and throughout your competition career? Have you had any issues, like maybe funding your competition career or horse’s injuries at very inconvenient times or any personal injuries yourself? Anything that you felt was stopping you from getting to where you wanted to be and how you continued to move forward. Then I had to sell the horse that I had on the juniors, just really through ill advice and the wrong people trying to make a quick buck and all those sorts of things, that I’ve learnt the hard way through. I ended up without a horse to take me on and having to kind of start from the beginning again. I worked really hard and managed to save up some money to buy a horse from Holland and brought it up and sold it and then just kept repeating that process. I learnt along the way how to run a business and how to find people that I can trust and build a network. I always knew that I was going to make it. I always had that really dogged determination that nothing was ever going to stop me, so I just managed to find a way. And there were no real colleges like there are now. There was no real education. I just had to learn on the job of how to run a business and how to make money from it and how to fund where I want to be. I was very lucky at finding Weltzin and got him up to a certain level myself. Then being selected onto the World Class squad was a massive catalyst for me and just really projected us up to where I wanted to be and where we are today. 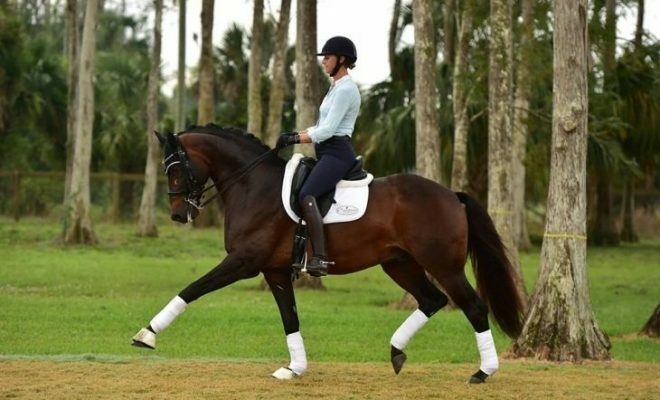 I would say that a problem that most riders tend to face today – riders that have a dream of either being a dressage professional or a Grand Prix rider – is taking that step from dressage being just a hobby to being their profession. How would you suggest people go about making that transition and what advice would you give to riders wanting to do the same as what you’ve done? I think it would be up to riders to really decide what they want and let themselves think if they’ve really got what it takes to get there. And if they don’t have what it takes or if there are any weak areas, think about how they can improve those. Really have an honest look at themselves and have a look at the top riders and what qualities do they have and anything they need to work on to get there. They will probably need to think about what sets them apart from all of the other professional riders or the other wannabe professional riders. Something a little bit different that would attract owners, sponsors, anyone coming to give them lessons or coming for training or anything like that. Their USP, something that sets them apart a little bit and makes them stand out from the crowd. They’ve got to be a business. They’ve got to brand themselves; they’ve got to put themselves out there? What would be your top training tip that you could give to riders listening in? There’s obviously loads of dressage riders out there who have that dream, they want to get to Grand Prix, and based on your riding and training expertise that you have, what would be your top tip that you would give to them? I would say to treat their horse as an athlete and look at their conformation. See what you can do to support them, or what they have by nature, and what else you need to do to help them achieve what they need to achieve. A good one is that you can never put expression on top of tension. You’ve always got to start with a relaxed horse that’s physically strong enough and supple enough to be able to do the job that you’re asking of it, rather than trying to push for some kind of flashy expression that the judges just don’t want to see these days. I think that’s a fantastic saying “You cannot put expression on top of tension.” I think that’s fantastic and I think something that all listeners should take away and have as their motto and write across their head. I think that’s a great saying. 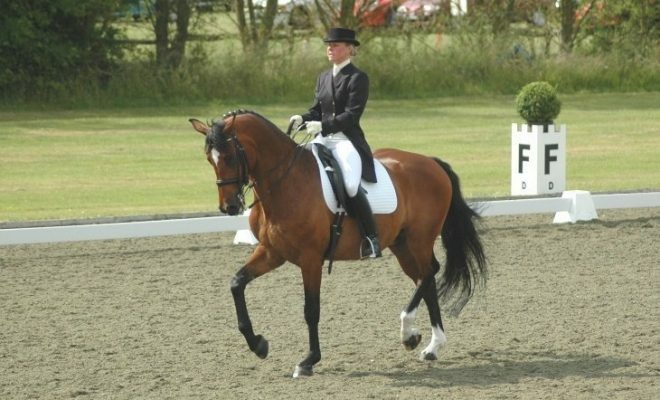 What would be the single piece of advice that you would give to aspiring dressage riders that are maybe going through a bit of a tough time right now? Maybe something has gone a little bit wrong, things are just falling apart, they feel like it’s just not going to work out and they’re ready to give up. What would you give to them or tell them to help them keep going and help them pursue their dream of being a Grand Prix rider? I would say to them to remember why it is that they’re doing this. 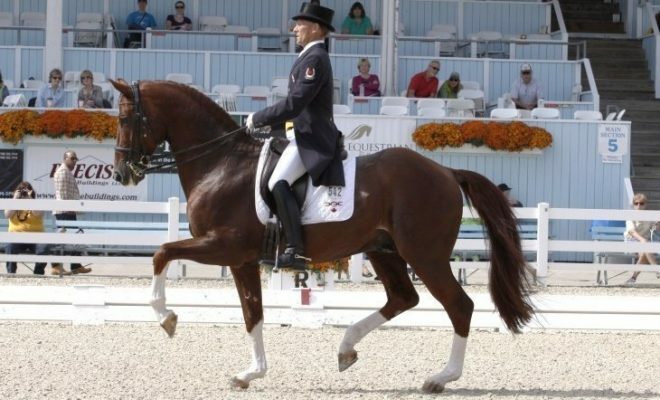 Why they’re in love with the sport of dressage. For me it’s very emotional, I love going on adventures with my best friend, off doing shows and I love dancing with him in the arena. I love being at the big events with all the other top riders that I’ve watched over the years and aspired to ride in those amazing arenas like Aachen and Olympia and Hargen. All of those are incredibly special to me and that’s what drives me. I think it would be good for riders to think about what it is that motivates them and then just to keep remembering that through all the tough times. 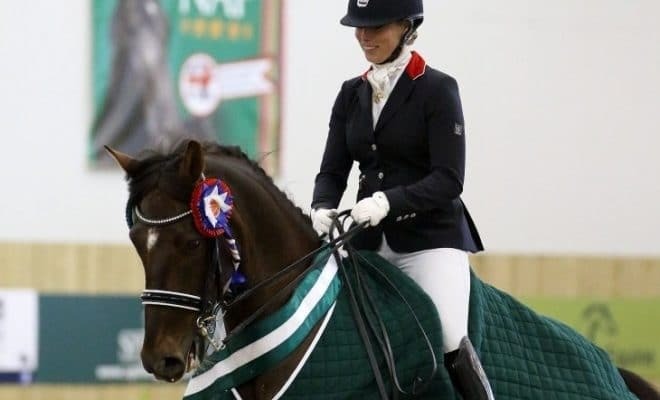 You do have to be mentally tough to make it to the top in dressage because there will always be downs, there will always be times when horses are off or riders are off, or things are against you, so you do need that business side of it to keep that focus. Also, just remember why it is you ride and why you fell in love with dressage and horses in the first place. That’s fantastic. I’ve really enjoyed interviewing you today Hannah; thank you so much for taking the time to speak to us. What’s the best way for people to connect with you and follow you? Have you got a Facebook, a website, a Twitter page that people can hook up with you and just see what you’re up to? Yes, I have all of those. I have Facebook; Hannah Biggs Dressage, I have Twitter; Hannah B Dressage and I have a website as well which is hannahbiggsdressage.co.uk. We’re just in the process of revamping the website, so I hope we’ll be able to reveal the new, improved, exciting website very soon. Certainly, on Twitter and Facebook, I’m very much involved with that and try and give everyone an inside glimpse into the yard, some behind the scenes photos and things like that. I’ll make sure to have a look out for your new website. Hopefully, that’s been very helpful to everybody. 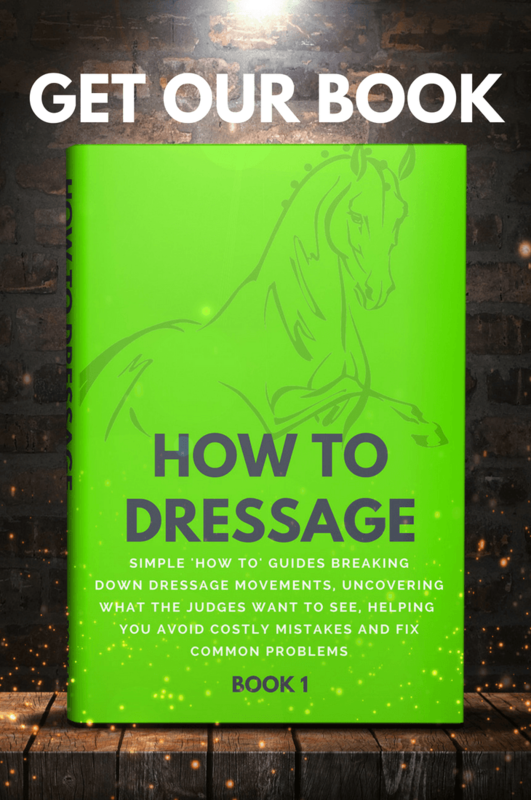 I think there’s been some great information in there that riders can take away to help encourage them to keep going and to help improve their performance and how they need to think and what type of mindset they need to actually become that Grand Prix dressage rider that they dream of. I want to thank you very much, Hannah, for taking the time to allow us to interview you and I hope you’ve enjoyed it as well. You’re very welcome. I have. Thank you.